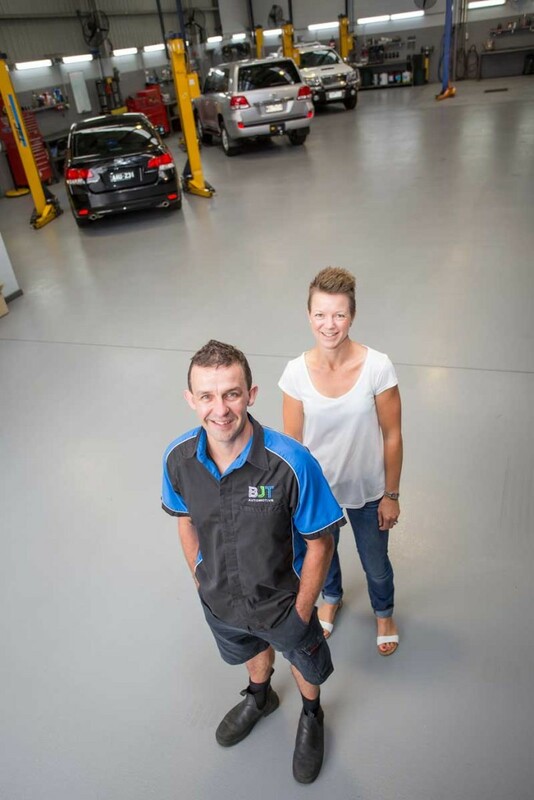 BJT Automotive, motor mechanic in Geelong, is owned by husband and wife team, Brett and Rachel Turley. Brett Turley has been a mechanic for nearly 30 years, having completed his apprenticeship in 1992 at a Ford dealership, where he worked for a total of seven years. In 1991 Brett received the Ford Top Apprenticeship Award and has since completed various automotive training courses. After working independently as a subcontractor in the automotive and marine fields, Brett went into business by himself in February 1999, setting up an automotive mechanic business in the workshop next door to BJT Automotive’s current premises. Brett worked on his own, building up the business until he became so busy he had to employ more mechanics. In March 2011, Brett, Rachel and the team moved into the current premises in Maxwell Avenue, Belmont. BJT Automotive rebranded creating a whole new look and feel for the business. This workshop is bigger, brighter and more modern and suits the expanding business. Over the years BJT Automotive, Geelong has continued to grow, now boasting a large, regular clientele. Our clients include families and business owners and we also manage vehicle fleets for large companies in Geelong and beyond. BJT Automotive has established a great reputation as not only reliable and skilled mechanics, but also for its warm and friendly staff. It is a leading independent workshop auto mechanic serving all of Geelong. At BJT Automotive, we genuinely care about our customers and their vehicles. We offer a wide range of services including mechanical repairs, car services and wheel alignments. We are able to inspect vehicles prior to purchase and issue roadworthy certificates. For warm, friendly service and excellent mechanical repairs, contact BJT Automotive and ask about our wide range of auto mechanic services.